I’ll come back to free trade, but, first, what regulations will be improved? We are not told. Similarly, what subsidy to immigration? Who knows? The budget contribution to the EU may be saved, but we will need to spend much of it on providing replacements for various EU regulatory bodies such as the European Medicines Agency, on negotiating new deals on things like airlines or nuclear isotopes, supporting farmers (which EfFT apparently accepts), on customs formalities on trade with the EU, on managing alleged unfair trade and on trade disputes, etc. Until we see the details, you have to doubt these numbers. I have criticised EfFT’s estimates of the benefits of free trade previously, but nothing seems to have changed. EfFT are correct to claim that trade liberalisation is generally a very sound policy for boosting economic welfare. But one just cannot believe the EfFT numbers. First, EfFT claim that current EU trade barriers are equivalent to a tax of 20% on both agriculture and manufacturing. In manufactures only about 3.5% of the extra cost is tariffs, so what is the rest? If the 20% is correct, much of the remaining 16%-17% is standards: some standards may be unnecessary, but most play a useful role. Patrick Minford, chair of EfFT, says ‘of course we’re not against standards – we should just use international standards’. But what are international labour, health and environmental standards? And might we not want to have higher standards at times – for example on animal welfare? 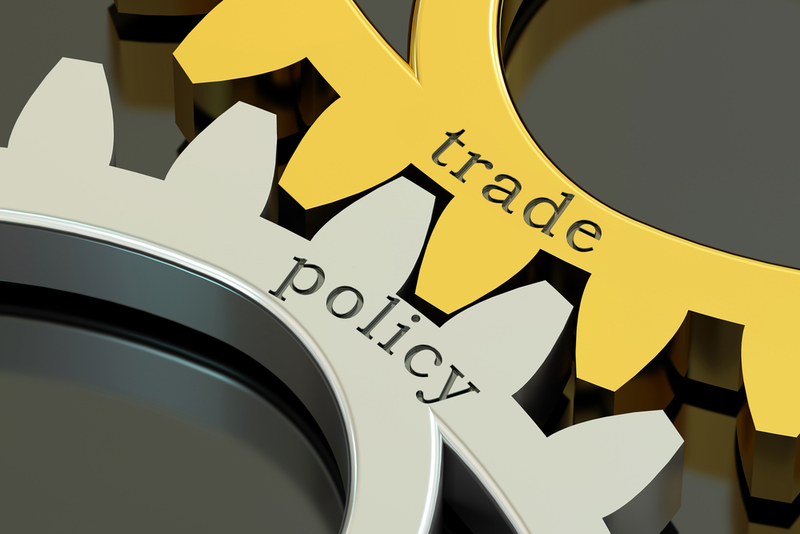 Thus simply removing tariffs will not provide the promised boost to incomes; the rest, if it really is to be found, will have to come from unspecified standards which have yet to be identified and many of which might, anyway, be useful. Second, EfFT believe that we can get all the benefits of the European Single Market (SM) unilaterally. That is not true. The SM boosts our exports, which confers benefits over and above those achieved by liberalising imports. At present, the UK has input into SM regulations, so that in some cases they are very favourable to UK industry (e.g. on financial services). After Brexit, unless we ape EU standards (which we will no longer be able to influence), UK goods and services may not be allowed to enter the EU Market. Moreover, by sharing standards with the EU, we open the UK market up to major EU suppliers which makes it more competitive, something which both EfFT and I agree, is desirable. Third, the EfFT model of how the economy works is not appropriate; it over-states the effects and the benefits of simple tariff reductions for most of the economy. On page 6 EfFT say ‘any attempt by the EU to re-create [non-tariff] barriers would be illegal under WTO rules’. On the contrary, for the EU not to apply to the UK the barriers it has against third countries after Brexit would violate WTO rules, unless we have a trade agreement with them. ‘Airline arrangements’, to keep UK airlines’ access to European airports, are ‘tedious’ and ‘different from trade arrangements’ (p. 6); maybe, but they depend on ‘35 shared pieces of EU legislation, a common regulator in the European Aviation Safety Agency, and a court acting as a referee on the shared rules, the European court of justice (ECJ)’. They can’t just be dismissed. EfFT state that in developed countries, most trade is not inspected on the border and what is inspected is delayed by only a day on average (p. 6). How comforting is that to firms that rely on immediate access for necessary parts or perishable products from EU countries? Of course, customs procedures will not undermine all trade, but they will disrupt some of it and firms may just decide not to bother or go elsewhere. Likewise, the fact that ‘The majority of inputs do not cross the EU-UK border multiple times’ (p.6) does not mean that the inevitable border delays will not harm commerce and incomes. See our video on The Customs Union: The Fiction of Frictionless Trade. Finally, EfFT asserts that ‘The devaluation … is acting as a powerful stimulus to the economy, switching demand away from consumers to net exports and business investment’ (p.8). There are at best small increases in net exports or investment, and the first part is just a polite way of saying that the Brexit devaluation has made consumers worse off. What might persuade some Leavers of the disruption to trade is a video of a truck carrying a typical load so they can witness the obstacles encountered depending on whether the UK is trading (a) as an EU member (b) EFTA-EEA member or (c) under WTO rules. At each obstacle update the counters at the bottom of the screen showing elapsed time, delays, and the costs. Here the relations between the two nations are friendly and there is just one customs stop. If we leave the EU, that may not be the case between the UK and, say, France.